Buy now and take advantage of our low prices with FREE SHIPPING! 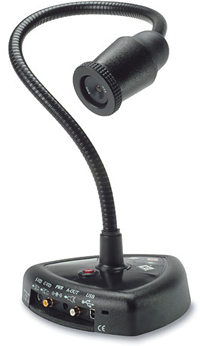 The Ken-A-Vision Video Flex 7300 is designed to be used as a classroom or lecture camera.It includes all the features of the 7200, plus the industry's first innovations. 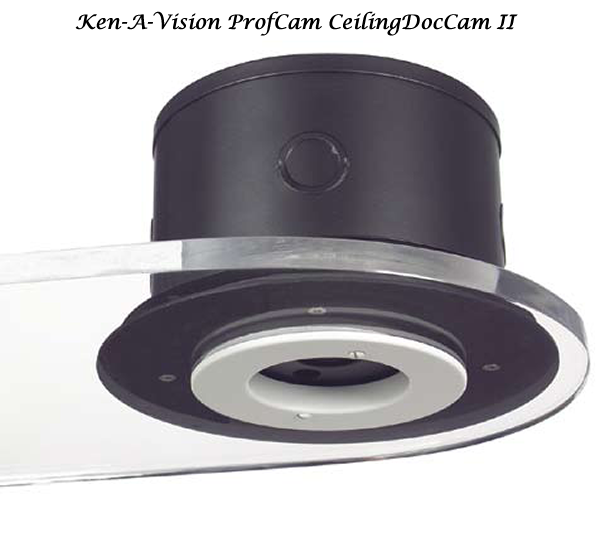 The Manual Contrast controls adjust to any lighting condition, the Positive/Negative switch reverses the video image to highlight details, and the Fluorescent Control eliminates the pulse caused by antiquated fluorescent lighting. The camera integrates a lens that can be used to display text, flat art, or 3-dimensional items onto computer monitors or through data projectors. It can even be attached to a microscope! This presenter produces high quality images, providing exceptional benefits for the classroom and beyond. 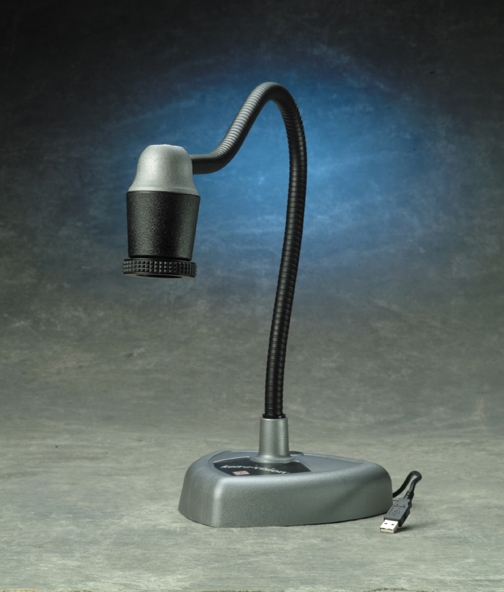 • Flexible Camera Positioning: The 30" gooseneck allows the camera to be aimed at almost anything, from tabletop text to wall mounted maps or even the lecturer. • Polycarbonate Build Quality: The 7300 is built from polycarbonate material, making it very durable yet extremely lightweight. Whatever the environment, the camera is up to the task. • Quick Focus Technology: Go from 6mm to infinity with only a 1/4" of a turn for quick focus adjustments on the fly. Presenters can adjust pictures mid-lecture with no hassle. • Discovery Scope Included: The discovery scope kit is included, allowing users to view specimens without the need of an external microscope. • Adjustable Contrast Levels: No matter what the lighting situation, fine-tune the 7300's contrast levels to get the best image possible. The unit also has the ability to compensate for the flicker commonly found in fluorescent lighting, preventing that nasty strobe effect. lock.. 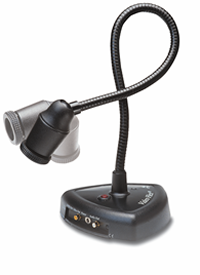 The 7100 has a flexible gooseneck and outputs video via a dedicated composite output. The camera integrates a lens that can be used to display text, flat art, or 3-dimensional items onto computer monitors or through data projectors. This presenter produces high quality images, providing exceptional benefits for the classroom and beyond. • Polycarbonate Build Quality: The 7100 is built from polycarbonate material, making it very durable yet extremely lightweight. Whatever the environment, the camera is up to the task. • Quick Focus Technology:Go from 6mm to infinity with only a 1/4" of a turn for quick focus adjustments on the flyQuick Focus Technology:Go from 6mm to infinity with only a 1/4" of a turn for quick focus adjustments on the flyQuick Focus Technology:Go from 6mm to infinity with only a 1/4" of a turn for quick focus adjustments on the fly. Presenters can adjust pictures mid-lecture with no hassle. 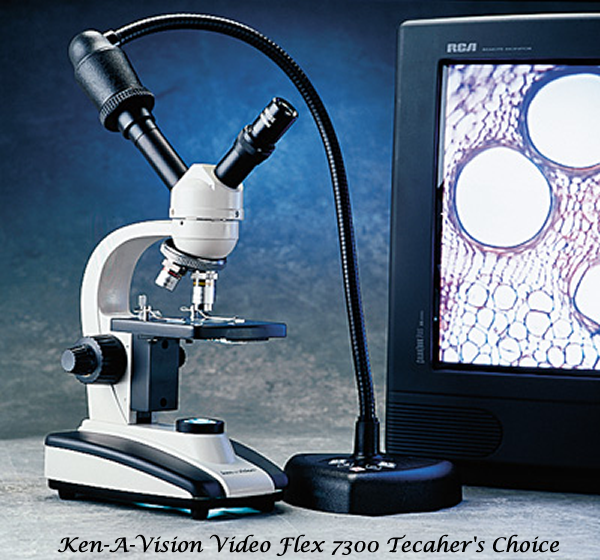 The Ken-A-Vision Video Flex 7600 is a 1/3" CMOS presenter designed to be used as a classroom or lecture camera. The 7600 has a flexible gooseneck and outputs video via either USB, Composite or S-Video outputs. The camera integrates a lens that can be used to display text, flat-art or 3-dimensional items onto computer monitors or through data projectors. 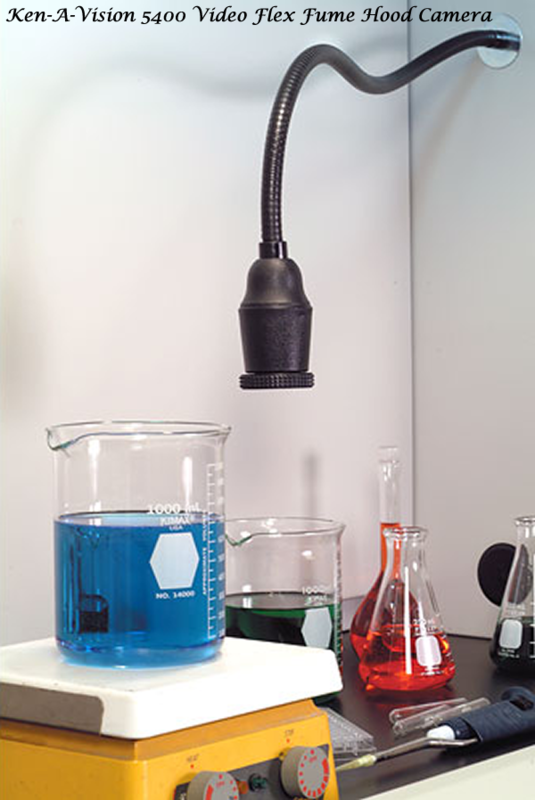 It can even be attached to a microscope! This camera produces high-quality images providing exceptional benefits for the classroom and beyond. The Video Flex 7600 introduces a direct computer interface. Simply connect to the USB port of any PC to transmit or capture images. The 7600 can simultaneously display to a computer and a TV monitor. This means that a video signal can be received and "frozen" in a computer while live action continues on the monitor. 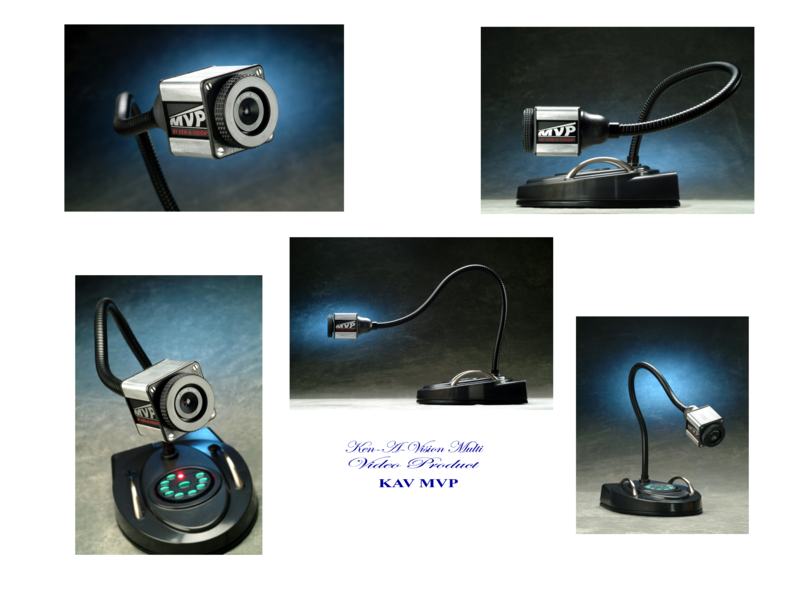 The Video Flex 7600 plugs directly into any USB equipped computer or to any device with composite or s-video input connections. Objects, flat art and text can be displayed clearly on a wide variety of devices. The cameras outputs up to 30 frames per second and comes ready with Applied VisionTM software for easy manipulation of images and movies. The 30" gooseneck allows the camera to be aimed at almost anything, from tabletop text to wall mounted maps or even the lecturer themselves. The 7600 is built from polycarbonate material, making it very durable yet extremely lightweight. Whatever the environment, this camera is up to the task. Go from 6mm to infinity with only a 1/4" of a turn for quick focus adjustments on the fly. Presenters can adjust pictures mid-lecture with no hassle.